It’s a bright Saturday morning in the South Loop. The men in suits who rush off during the weekdays to Chicago’s bustling Loop have retired their formal wear and turned to the comfort of colorful Hawaiian shirts. Couples, both young and old, are out strolling through the neighborhood before the humidity settles on the city. The gentle rustle of trees mixed with chirping birds and the occasional passing car creates a serene, urban lullaby. For residents of the South Loop, the neighborhood can feel like the city’s best-kept secret. 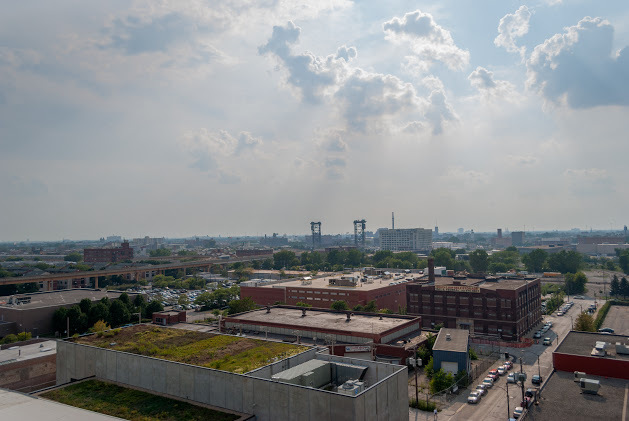 But twenty years ago, the South Loop was little more than vacant lots. There were no towering condominiums, no trendy cafés, Soldier Field, and the museum campus. McCloskey, former vice president of SGI, was key in bringing this Nichiren Buddhism center to the South Loop. The spot was originally the location of the third Chicago Coliseum, built in 1899 by candy manufacturer Charles F. Gunther. The coliseum hosted everything from Louis Armstrong concerts to summits for the Republican National Convention. In 1971, the coliseum was shut down for violating the city’s fire code. A decade later, it was demolished. In 1994 McCloskey decided to move the SGI center to the former coliseum site to make the center more accessible for the many members traveling from opposite ends of the city. It would be a fair meeting point for all Chicagoans, as compared to the center’s former location on North Foster Avenue. SGI members were not the only people for whom the South Loop became a destination. Condo buildings have sprung up on nearly every block. Old business buildings, like Chess Records, have since been rehabbed into vintage loft-style apartments. The new Fred Anderson dog park and other playgrounds provide outdoor fun. Jones College Prep High School and Columbia College Chicago bring a diverse mix of young people to the community. McCloskey stepped down as vice president of SGI in 2009. McCloskey and his wife live on 18th and Michigan, where they have breathtaking views of the neighborhood and Chicago’s scenic skyline. The beer you’re drinking isn’t very good, and you could do a lot better. At least, that’s what Rob Sama thinks. In recent years, fond memories of drinking Baderbräu during his undergrad days at the University of Chicago and a nostalgia for home brewing have led Sama to revive Baderbräu, Chicago’s original craft beer. The original Baderbräu (Bay-der-brow) was brewed in 1989 when former Chicago cop Ken Pavichevich launched Pavichevich Brewing Company in Elmhurst, IL with Baderbräu as the flagship beer. “He had named the beer after his best friend in childhood, Franz Baderbräu, presumably because his own name was too long,” Sama said. Unfortunately, the company went bankrupt in 1997. Goose Island took over the Czech-style Pilsner, winning it the silver medal at the American Beer Festival in 1998 before ditching the brew in the early 2000s. online, he was able to secure the trademark and domain name for his beloved beer. “I didn’t know the name of the brew-master who would have the recipe,” he said. “I just Googled until I found a condolence page for Michael Jackson—the beer critic, not the singer,” he joked. The original brewmaster, Douglas Babcook, had signed the deceased’s guestbook with a contact email address. Sama eagerly emailed Babcook, inquiring if he was affiliated with Baderbräu, and if he happened to still have the original formula. Babcook responded with a one-word email: Yes. “The brand had a special place in his heart, so he got me the recipe and knew someone who had a copy of the yeast strain they used and we put it all back together,” he said. 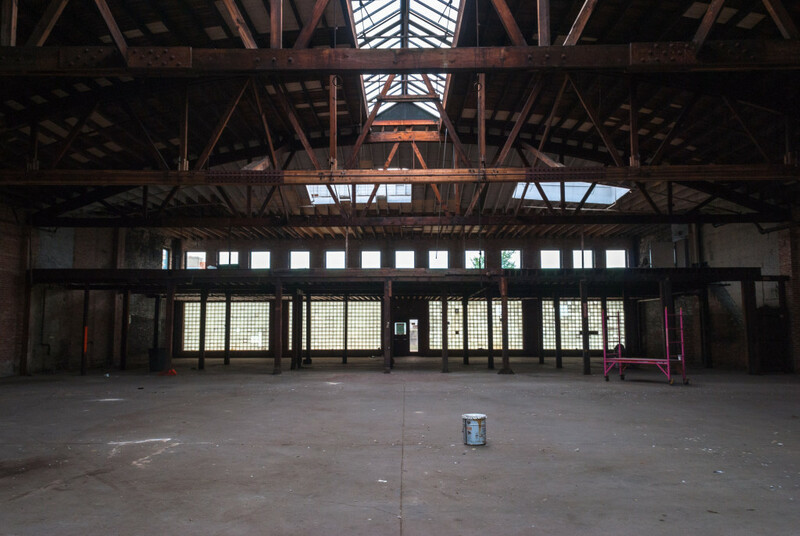 Although the Motor Row brewery doesn’t look like much just yet, the 25,000 square foot space will include a large taproom on the second floor and is set to open in late fall 2015. Instead of having a kitchen like Revolution or Lagunitas, Baderbräu will have an array of handpicked food trucks waiting out in front of the establishment. Four new beers will be available when the brewery opens: the Naked Selfie, a Black India Pale Ale dry hopped with Australian Ella hops; Oktoberfest, the 2013 Lisle Ale Fest People’s Choice Winner; Red Velvet, a deliciously dark malt bomb; and the Lawnmower Lager, a citrus India Pale Lager. Oh, and the brewery’s namesake Baderbräu will be available, too. Fun fact: On the Route is perfectly positioned on Printers Row’s nationally ranked number one bike lane, Dearborn Avenue. They’re on the route! (Get it?) Fittingly, the National Bicycle Dealers Association (NBDA) named the Sloop branch of the local chain America’s Best Bike Shop in 2014. With the kickass slogan “pump pedals not gas” and a female owner who organizes weekly women-only rides, it’s no surprise the shop is always packed. But don’t worry, their top-notch mechanics guarantee to tune up any type of bicycle within forty-eight hours. Even mopeds! Don’t forget to try and sneak a peek at the covert chain brow Sprockometer. Can’t get enough of ‘em? Also Check out their donation to the historic installation “The Art of the Bicycle” at the Museum of Science and Industry. What’s more romantic than strolling down Michigan Avenue before being bombarded with politically charged photography depicting isolated North Korea? Let the “Hermit Kingdom” exhibition at the Museum of Contemporary Photography captivate you for an hour or two before grabbing a bite at Little Branch Café. “North Korean Perspectives” will be on exhibit through October 4th. The other painstakingly curated collections—with motifs such as growing up poor and evangelical, the gentrification of Chicago, and what people all over America hoard—will give you two plenty of fodder for pillow talk. If you really want to impress your date, make an appointment on the museum’s website to see the permanent collection featuring works by legendary artists such as Russell Lee, Dorothea Lange, and Barbara Crane. Oh, did I mention it’s free? Looking to beat the heat and the suburbanites for a truly relaxing day at the beach? 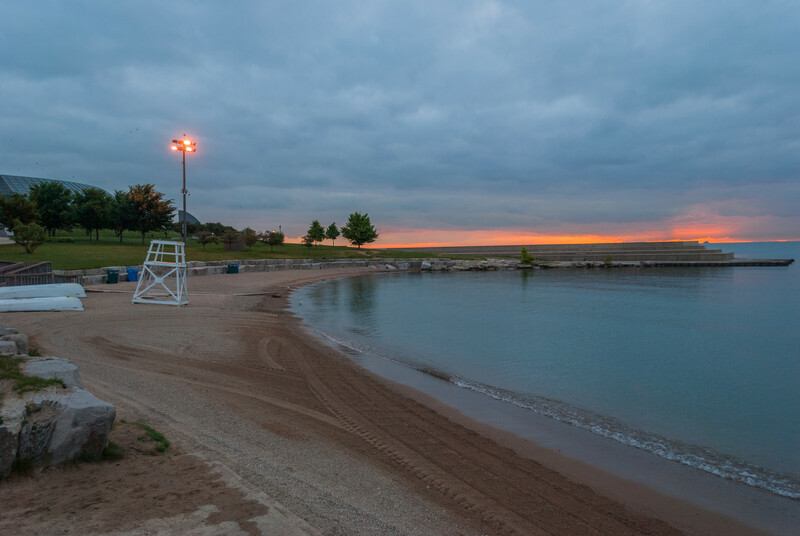 Bike over to Museum Campus and catch the best views of Chicago before finding the secluded 12th Street Beach behind Northerly Island. Curved around thick cement stairs, it’s a peculiar place for a beach but a beautiful reminder of Chicago’s classic City vs. Nature dichotomy. Cannonball into Lake Michigan behind the Adler Planetarium after a revitalizing rainstorm when the water is wavy and deep. Listen to performers sound-check at the FirstMerit Bank Pavilion while snacking on Chicago-style hot dogs from the Mexican beach house, Del Campo. Come early enough on warmer days to catch the sunrise seemingly burst out of the water. Bundle up on chilly winter evenings to watch ice caps build and break. It’s not every day you walk through a dry cleaner to get your morning coffee. Located on 13th Street in the base of Tower Residences, Little Branch Café is not obviously marked on the outside and easy to miss. This counter-order coffee spot and restaurant has a menu that ranges from breakfast and smoothies to dinner fare, complimented by a bar with painted logs for stools. Located within walking distance of Museum Campus, Little Branch Café offers a strategic brunch spot to fuel up for a day of exploring. Those needing a sugar rush to start their day will find that the mascarpone-stuffed French toast fits the bill. The cheese is trapped between slices of brioche weighed down with blueberry compote, then encircled by a moat of vanilla bean cream. Brunch is served until 3pm on weekends, so there’s plenty of time to get your fix. The Prairie District hides the Sloop’s best-kept secret, The Spoke and Bird: A quiet, astonishingly affordable café filled with perfectly portioned meals and a serene beer garden. With South Loop Brewing’s Lavender Saison on tap, matcha shots, and an enticing array of organic ales and juices, you can’t go wrong. The steampunk, minimalistic décor will give you that extra boost to finish your term paper, head off to work with a smile, or at least make the daily to-do list. (If it doesn’t, go for the cortado.) Munch on bacon cheddar biscuits and citrus bread pudding ethically sourced from one of thirty different farm partners around the Midwest. Sneak off to 18th and Indiana to escape the hustle and bustle of your 9-5 downtown office job for a relaxing lunch break. Whether you’re grabbing some farm-to-table roasted pork, an Out of the Loop draft, or an iced macchiato, you’ll soak in the soothing sounds of a quieter city.